Besides my CV, you will here find a few documents about a participatory approach to Development Work in the Third World. 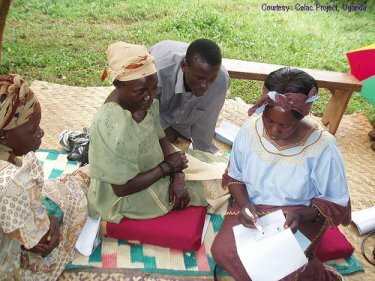 Most documents are about Monitoring and Evaluation (M&E) - especially the Most Significant Change (MSC) approach. Other issues are Participatory Planning, Organisational Development and Capacity Building of NGOs and Partnership between Development NGOs. The material grew out of my experiences working for a Danish NGO running a vibrant partnership programme on the African continent, in Nepal, Nicaragua, and Guatemala. I hope that others will contribute to the issues that I fragmentarily address on this web page. Please, do not hesitate contacting me with your comments or proposed additions to the different topics. Most documents are in pdf. formats.